Offers are valid August 10, 2018 through June 30, 2019 and excludes liquor, tax and gratuity. To redeem these offers, please show the waiter your Alley Theatre tickets for the night that you are attending. 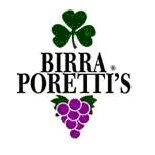 For almost 40 years Birraporetti’s has been the place to gather before or after the theatre. Open late seven days a week, Birraporetti’s is famous for our stone oven, hand thrown pizzas as well as our Signature Bellinis and delicious Irish coffee. Birraporetti’s - A great Italian Restaurant and a heck of an Irish Bar. 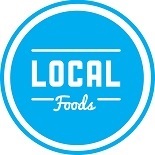 Houston Local Foods - Downtown is at the metro Main/Prairie train stop. The renovated Art Deco building from 1930's features a private dining space for meetings and cocktail parties. Like all our locations we feature a seasonal menu with locally-sourced ingredients. On weekends we offer a special menu with all-day happy hour.